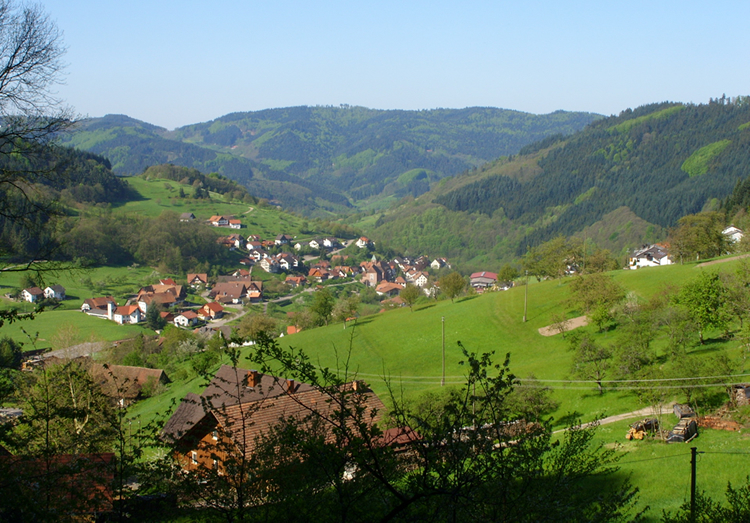 Seebach is a small village of 1500 inhabitants nestling in the Acher valley, close to the legendary Lake Mummel. Local customs and folklore are very much alive here and there is much pride in many centuries of history and tradition. 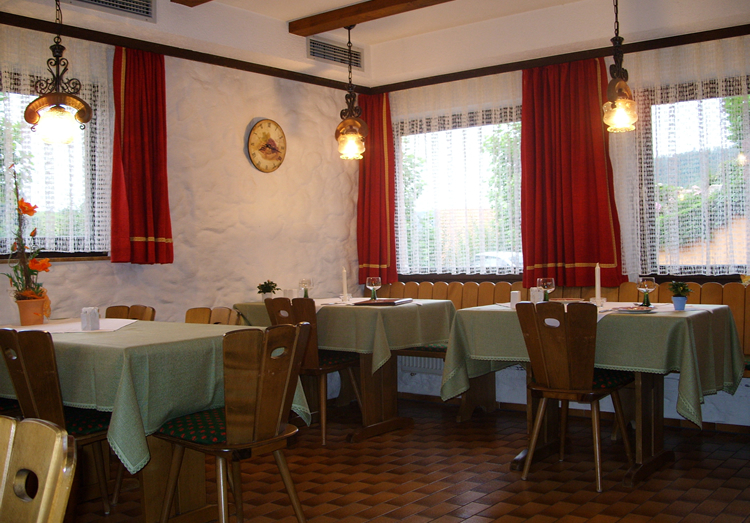 You will find a hospitality and friendliness that’s unique to the Black Forest. The seasons in this area tend to be more defined – with cold winters, warm sunny summers, fresh bright springtimes and golden autumns. 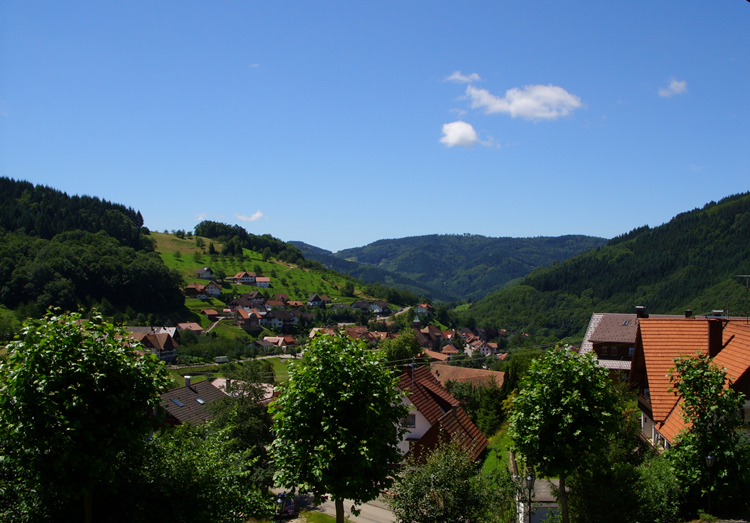 The climate in the valley is wonderful for growing fruit and produce and the locals take full advantage of this – there are over 100 schnapps distillers in this village alone! There are many kilometers of marked walks and cycleways in the village and surrounding areas – you will need to spend many holidays here to complete them all! 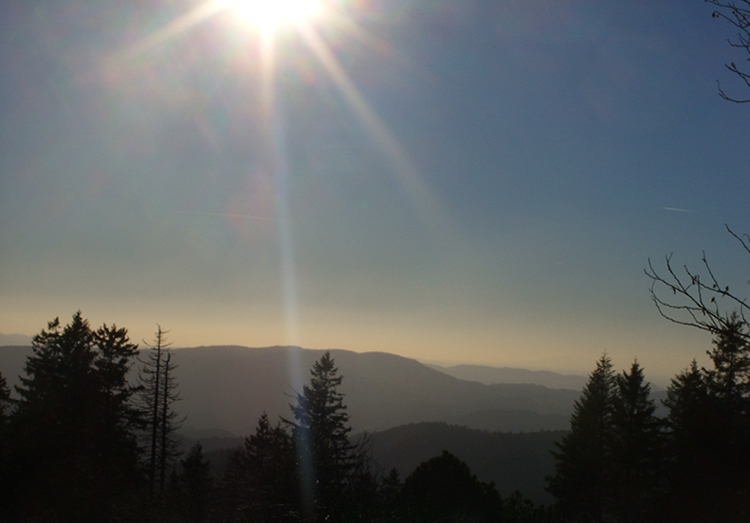 On a hot day you can enjoy a walk through the famous Schwarzwald pine forests. We can lend you a walking map of the area for your stay and we have details of walks, in and around the village, to get you started. There is a childrens playground 100 meters from the Pension. In the centre of the village is the Kurpark where you can enjoy a beer and perhaps listen to the local music and singing. 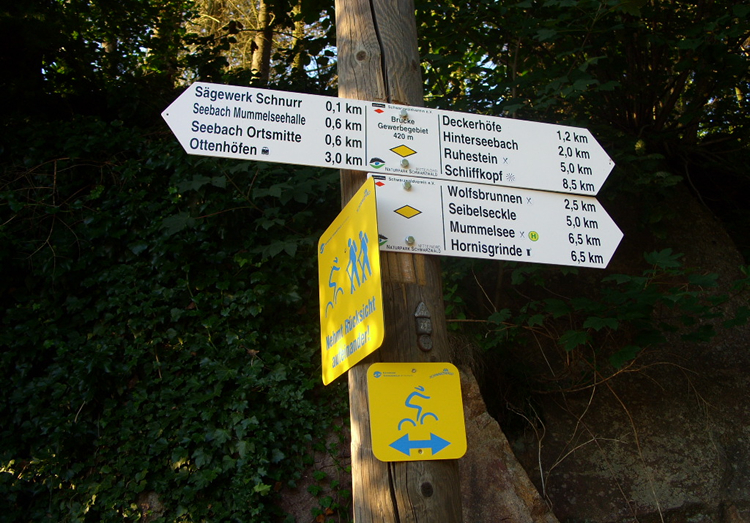 We are 5 minutes from the Schwarzwaldhochstraße (B500), which is a stunning route through the high Black Forest. 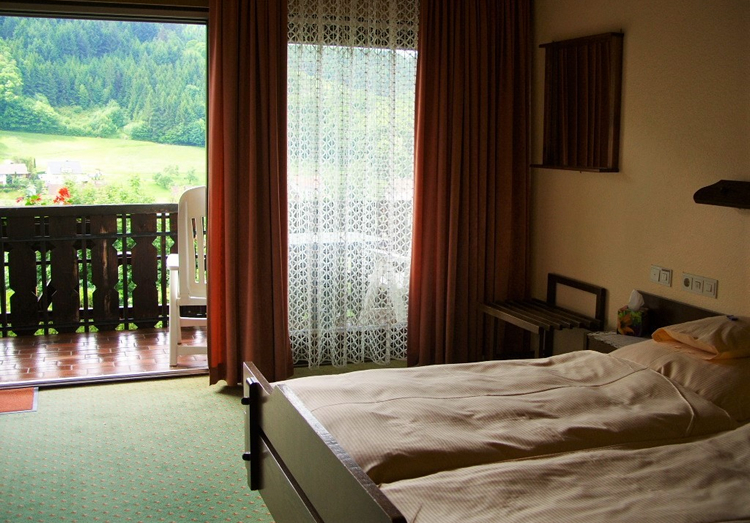 Baden-Baden, Freiburg, Triberg (the cuckoo clock capital of Germany), Freudenstadt, Strasbourg and the Alsace (France) and Basel (Switzerland) to name but a few, are within easy driving distance for wonderful days out. For the children there is Europapark theme park, about 50 minutes away, as well as Karlsruhe Zoo, Mehliskopf dry toboggan run and Steinwasen Park. 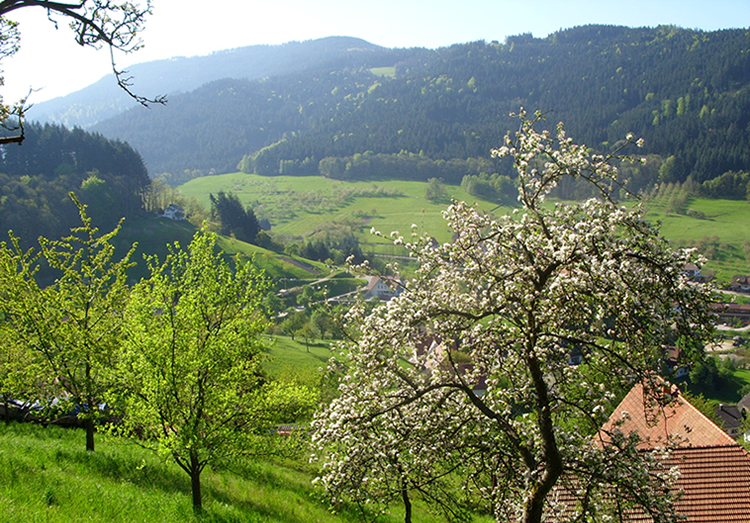 Springtime in Seebach is full of new life and the anticipation of a wonderful summer ahead. The valley is turned a vibrant shade of fresh green as the trees come into leaf and the fruit trees bear colourful white and pink blossoms. It is a lovely time for an early break, maybe a walking holiday to 'kick start' your system after a long winter or an Easter break. A fun time to visit is for 'Fasnacht' which is carnival time in this area. 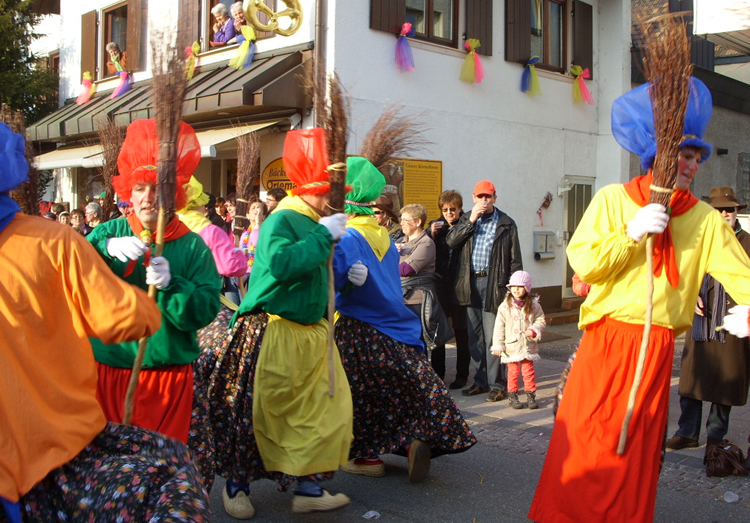 Our neighbouring village of Kappelrodeck (10 minutes drive) is famous for its Fasnacht celebrations, especially the colourful parades. 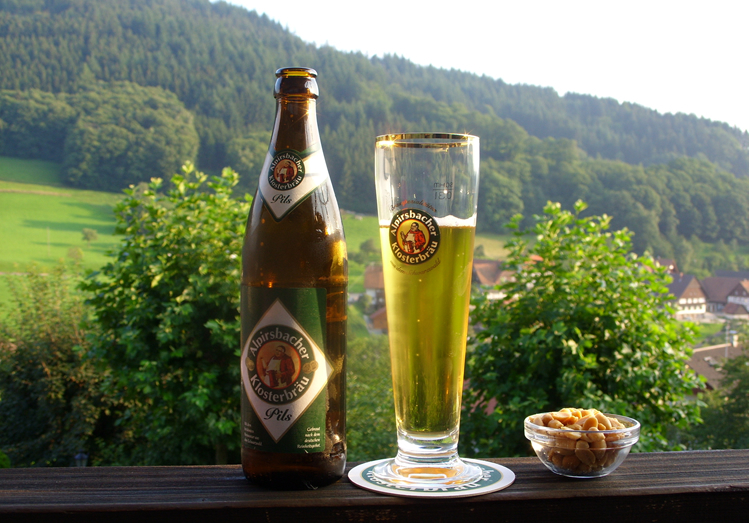 If you are here on 30th April you can join in the raising of the Seebach maypole which entails much merriment and beer! The summers here are warm and sunny, although of course we do also have the odd shower of rain – a must to keep everything lush and green! All of the attractions open up at Easter and it's a lovely time of year to relax, hike or explore and to take advantage of the long summer days and warm evenings. 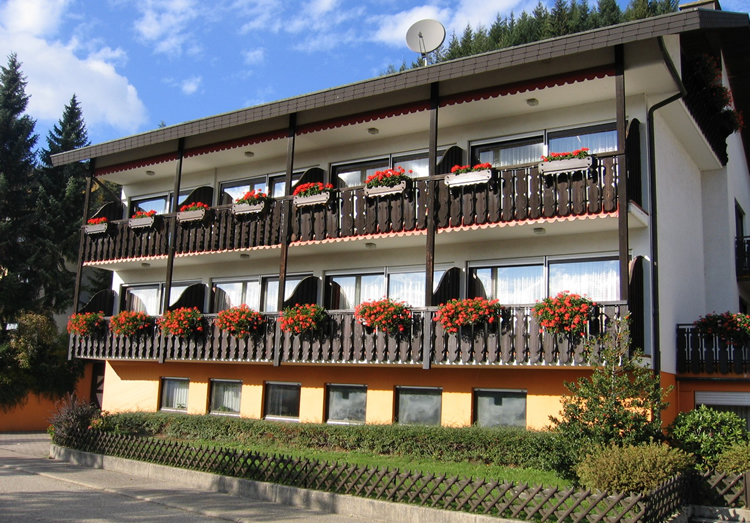 There are a selection of open air swimming pools in the area, the nearest one being in our neighbouring village of Ottenhöfen, around 5 minutes drive. Walkers, of all abilities, can experience unforgettable views and will marvel at the varied landscapes of the Achertal – forest meadows, orchards, waterfalls, mountain brooks, lakes, farms and watermills. This is a beautiful time of year in the Achertal. The trees are a riot of autumnal hues – yellows, reds, oranges – and the weather normally remains settled until late October/early November. It's a lovely time of year for a late walking holiday or a relaxing short break before winter sets in. 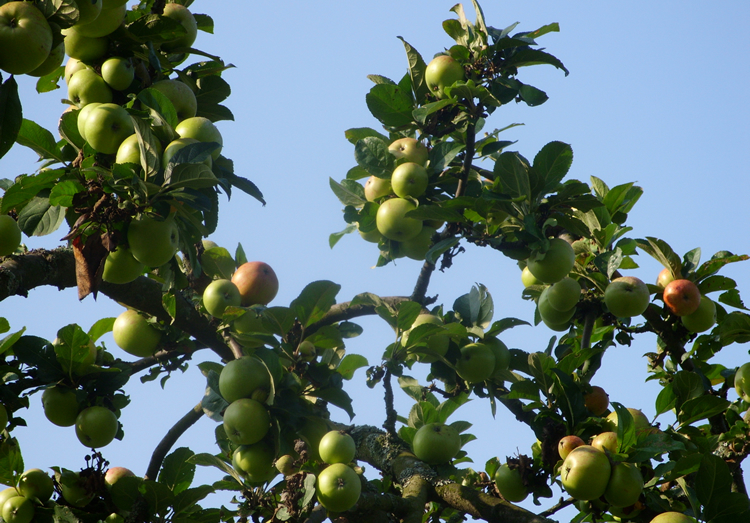 The apples and pears are harvested and the schnapps distilling begins in earnest – you can buy the schnapps directly from the producer. Several villages in the area are famous for producing wine and you can watch the grapes being harvested, visit the wineries for a little wine tasting and join in at the wine festivals – held during September and October. 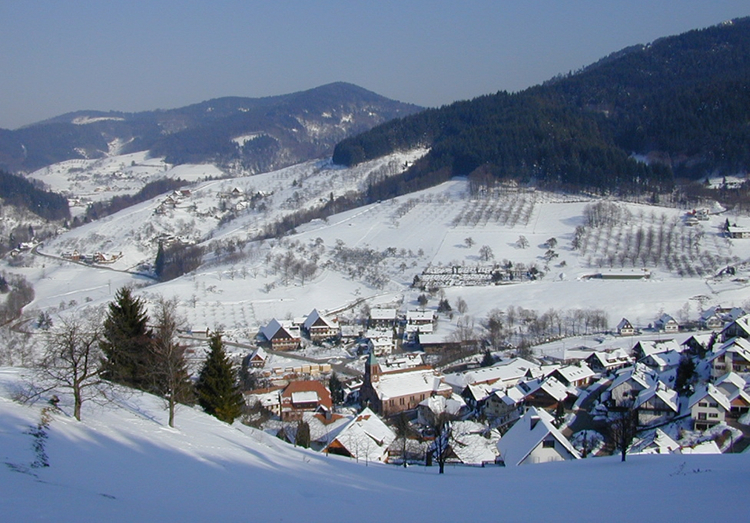 Winter in Seebach is normally snowy and downhill and cross country skiing are popular along the Schwarzwaldhochstraße (around 5 minutes drive). Christmas time is very special with the Christmas markets starting at the end of November. 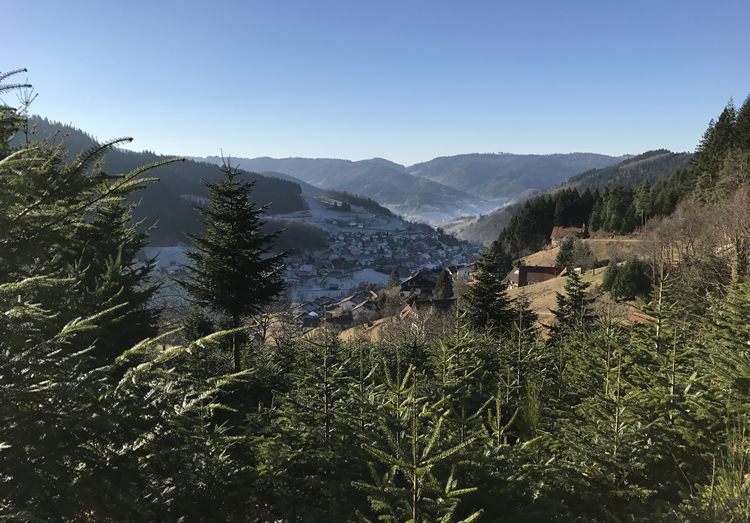 They are a sight to behold and evoke memories of a traditional old fashioned Christmas – Glühwein, roasted chestnuts and stalls selling wooden toys and christmas trees straight from the forest – fairy lights and, if you're lucky, maybe some snow. 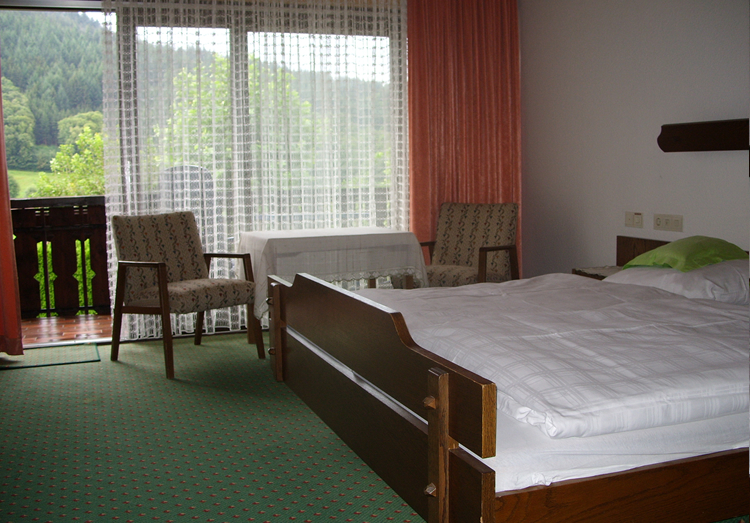 Silvester (New Year's Eve) is also a wonderful time to visit Seebach. At midnight everyone lets off fireworks and from the Pension we have an excellent view of a most spectacular display. Join us for a winter break and get away from it all.